Malayalam travelogue by Dr George Onakkoor. ‘Aakasathinte Adarukal’ depicts Onakkur’s journey through America and Europe while attending Literary Association of North America’s conference. 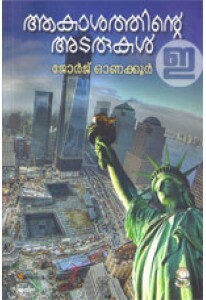 A notable book with unique narration by Onakkur.